ProPaste Prophy Paste | Pac-Dent, Inc. It is also available with a range of grits in 5 great flavors: mint, cherry, bubblegum, strawberry, and grape. 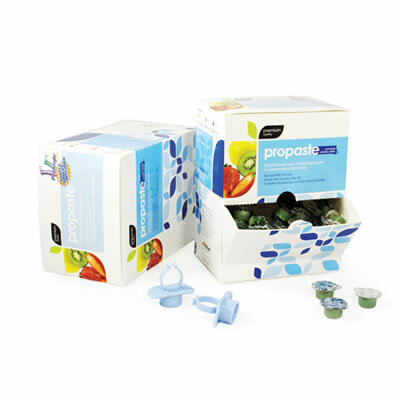 The 2-g unit-doses are packaged in an easy-to-dispense box with 2 autoclavable plastic prophy rings.